HOME>Our Doctors > Our Ophthalmologists > Kenneth R. Neufeld, M.D. Kenneth R. Neufeld, M. D. is a Board Certified ophthalmologist and oculoplastic surgeon with specialized training in cosmetic and functional procedures around the upper face, brows and eyelids. 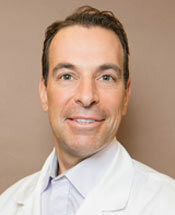 He received his medical degree from the State University of New York at Syracuse and completed his ophthalmology residency at The New York Hospital – Cornell Medical Center. His fellowship training in oculoplastic, reconstructive and laser surgery was completed at the Duke University Medical Center. Dr. Neufeld specializes in meeting the needs of patients by treating eye-watering problems, droopy lids or brows, orbital tumors, eyelid malpositions and skin cancers. He also provides cosmetic services such as Botox/Dysport, dermal fillers such as Juvederm and Restylane, Latisse, and laser skin treatments. His special interest in using the laser helps him achieve optimal results with minimal recovery time. He is a member of the Medical Association of GA, American Academy of Ophthalmology and the American Association of Cosmetic Surgery.